Many markets in Asia started the week on a positive note, after weak US growth figures released on Friday suggested the Federal Reserve would not be raising interest rates anytime soon. The US economy grew at an annual pace of 1.2% in the second quarter of the year, much slower than forecast. Japan’s benchmark Nikkei 225 index closed up 0.4% at 16,635.77 after a negative start earlier in the day. 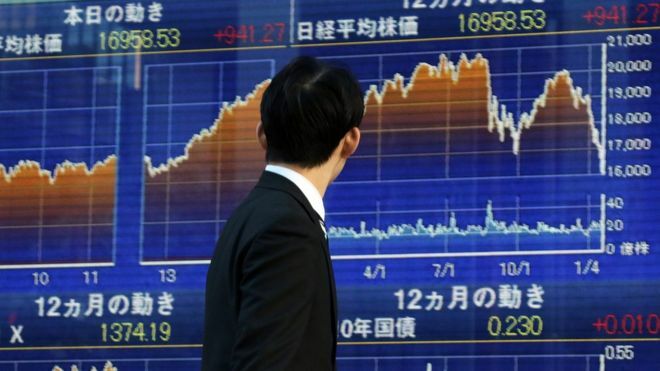 In South Korea, the Kospi rose 0.7% to close at 2,030.22. Official data from China on Monday suggested manufacturing activity contracted slightly in July. 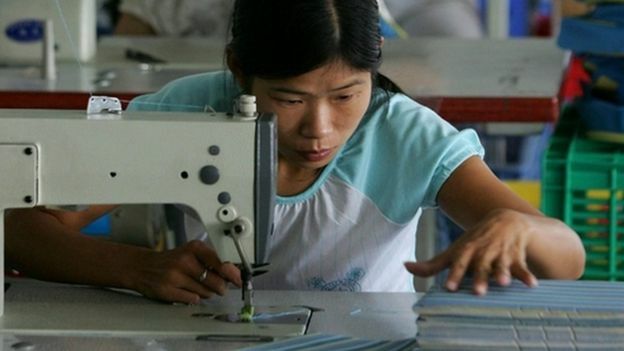 The Purchasing Managers’ Index, which tracks activities at Chinese factories, showed a 49.9 reading for July, compared with 50 in June. A reading above 50 indicates an expansion, while anything below that signals a contraction. China’s benchmark Shanghai Composite index was 1% lower in afternoon trade at 2,950.81. In Hong Kong, the Hang Seng index was trading up 1.5% at 22,218.37. In Australia, the benchmark ASX 200 share index gained 0.4% to close at 5,583.80. Shares of the stock exchange operator, ASX Ltd, jumped 0.5% to an eight-year high at one point following the news that the exchange had appointed a new chief executive. Dominic Stevens replaces Elmer Funke Kupper, who resigned in March after police investigated allegations of bribery at gambling and betting firm Tabcorp, which Mr Kupper had previously headed. ASX shares eventually closed Monday’s trading session up 0.2%. The Reserve Bank of Australia, the country’s central bank, will hold its monthly interest rate meeting on Tuesday. The central bank’s current cash rate of 1.75% is a record low. But many economists are expecting it to lower rates further, taking the cash rate to 1.5%.